The transformation of health care through CHRISTUS Spohn’s Our PATH Forward continues to take shape at CHRISTUS Spohn Hospital Corpus Christi – Shoreline and we were happy to share the progress with the CHRISTUS Spohn Ambassadors. In October, Ambassadors were given a “behind-the-scenes” tour of the new tower to help kick off the 2018-2019 Ambassadors program series. 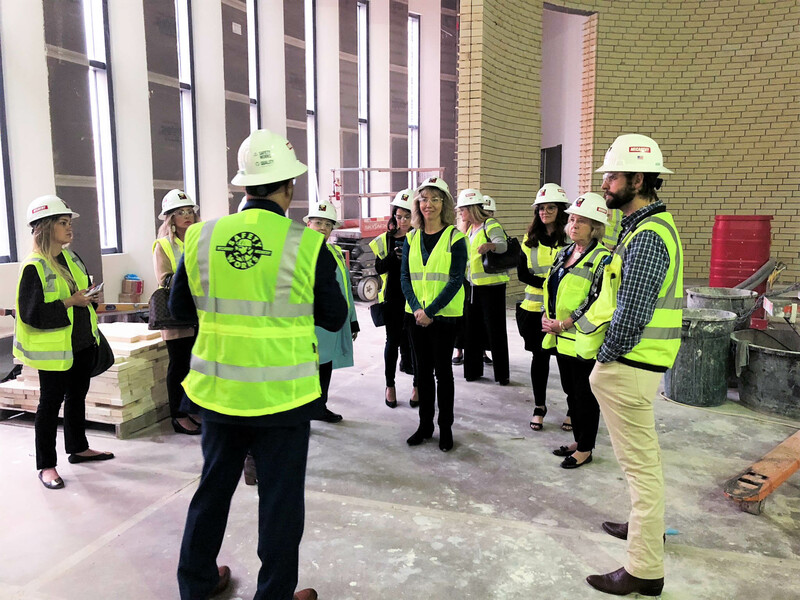 During the tour, Ambassadors had the opportunity to visit one on one with David LeMonte, President of CHRISTUS Spohn Hospital Corpus Christi – Shoreline and Andrew Gilbert, Project Manager at CBRE and ask questions regarding the construction progress. The members were excited to hear about and see the new chapel, ICU rooms, trauma bays and emergency room center. Additionally, the CHRISTUS Spohn Ambassadors in Kingsville began their series at the Cherry Tree Tea Room with a special presentation from Thomas McKinney, President of CHRISTUS Spohn Hospital Alice and Kleberg.